Finding “Images D’Escalades” earlier this year led me to works by F.S. 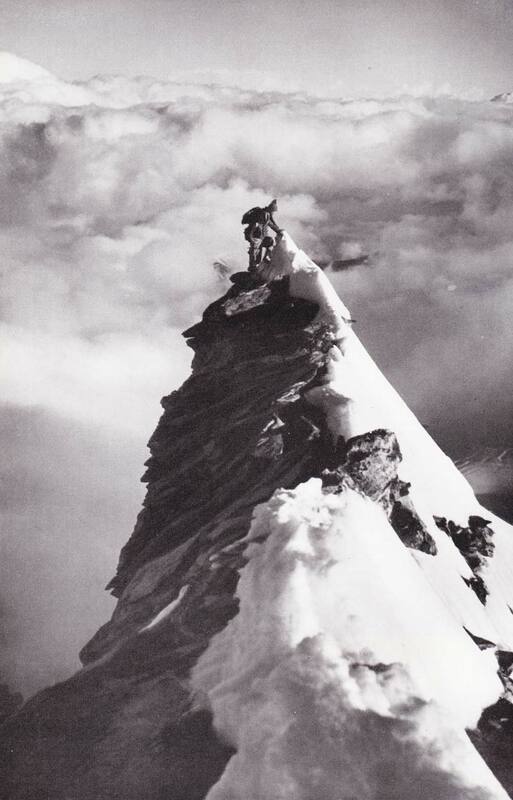 Smythe, a top mountaineer in his day who was also known for his wonderful writing and photography. 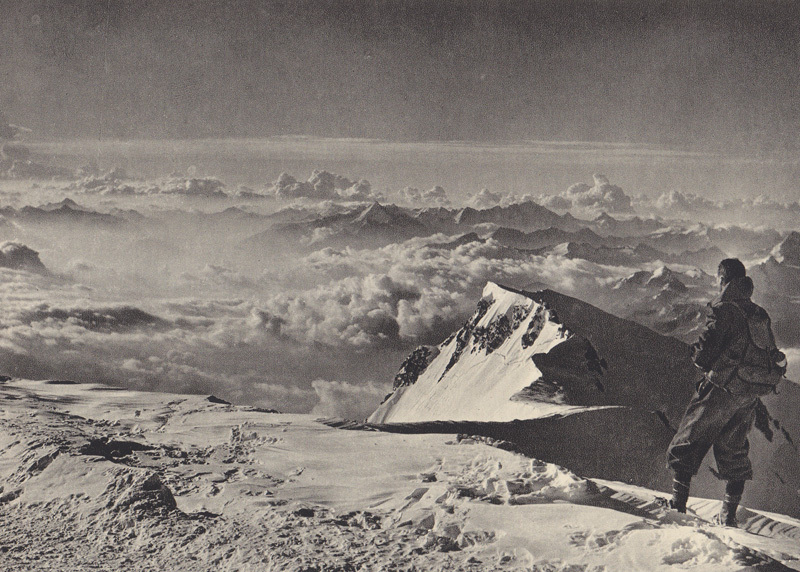 Among his published books is “A Camera in the Hills,” which is a collection of pictures he took during two expeditions to the British Hills and Swiss Alps between 1938 and 1939 – in addition to the photos, Smythe also discusses the technical details and composition behind each making it an excellent resource for those learning about landscape and mountaineering photography. Scans from “Images D’Escalades,” a collection of mountaineering pictures covering climbs in the Alps – most of them were taken by André Roch, who was both a well respected climber and avalanche expert. I could not find any specific date for when it was published, but some years listed with a few of the climbs photographed indicate that it was likely released around 1946. I’ve also attempted to translate parts of it from French, but I’m sure it’s not perfect. L’Arête nord du Weisshorn (4505 m) est vertigineuse. Le parcours de cette crête se fait constamment au-dessus de précipices très profonds. – The northern ridge of the Weisshorn is breathtaking. The course of this ridge goes over very deep precipices.